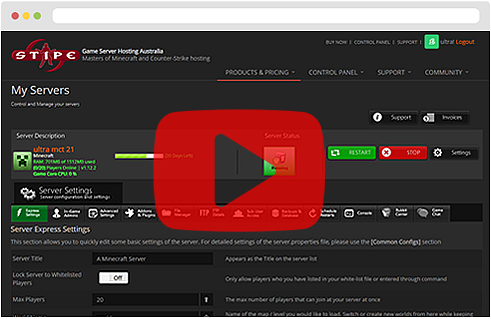 We're proud to be the largest Australian only minecraft hosting provider! With more than 13 years of hosting game servers, you're buying from the best Australia has to offer. 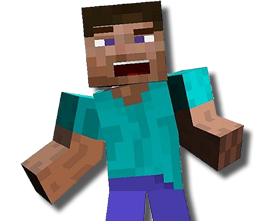 We take care of the network, hardware, installations and provide you with a unique control panel making your minecraft server hosting a breeze! Best of all, if you need help, our live support team are readily available to resolve any technical problem or questions. Over 45,000 game servers hosted in Australia. We provide a unique, customised experience which won't be found anywhere else! Servers run on high 4.5Ghz, RAID SSDs with 1gbit network speeds per server. It's overkill! Server automatically installed in under 60 seconds! No risk 5 day guarantee! If for any reason you are not happy or you just simply change your mind, we will refund fully. No questions asked!